In Liberia, a country gripped by Ebola, the outbreak has not only taken its toll on health care workers but also on the professionals who comfort the grieving. Francesca Crabu, a clinical psychologist with the International Committee of the Red Cross, explained that having close contact with those who are grieving is key to providing psychosocial support. But in Liberia and other parts of Western Africa, preventative measures require people to stay at arm’s length from each other. 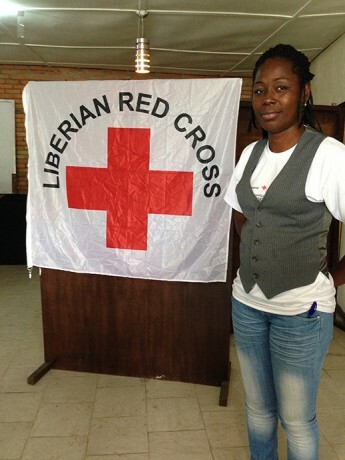 “Here in Liberia, it is very painful that you cannot shake hands. If somebody is dying I cannot hug you,” said Crabu. To make matters worse, once Ebola claims a life, the body is taken immediately, before families have time to mourn their loss, according to Eliza Yee-lai Cheung, a clinical psychologist with the Hong Kong Red Cross. To give psychosocial counselors the tools to help grieving communities, the USAID Ebola Disaster Assistance Response Team (DART) is partnering with IFRC in Monrovia, Liberia’s capital city. 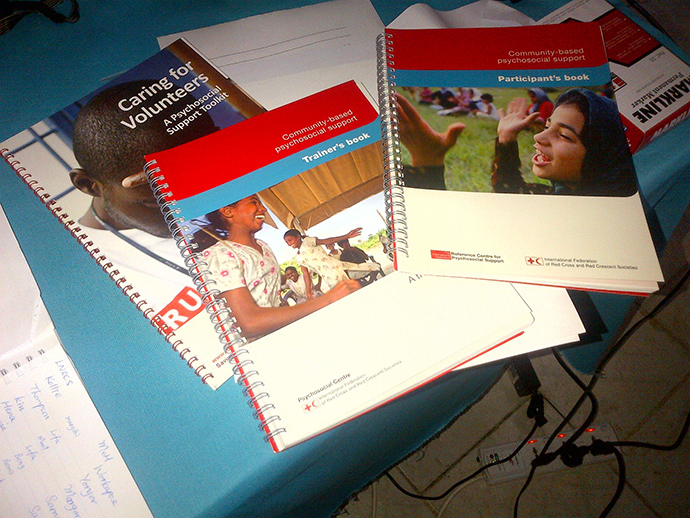 Among other things, the DART and the International Federation of Red Cross and Red Crescent Societies are working to raise public awareness of Ebola’s mode of transmission, teach disease prevention practices to communities, and train health workers and volunteers. 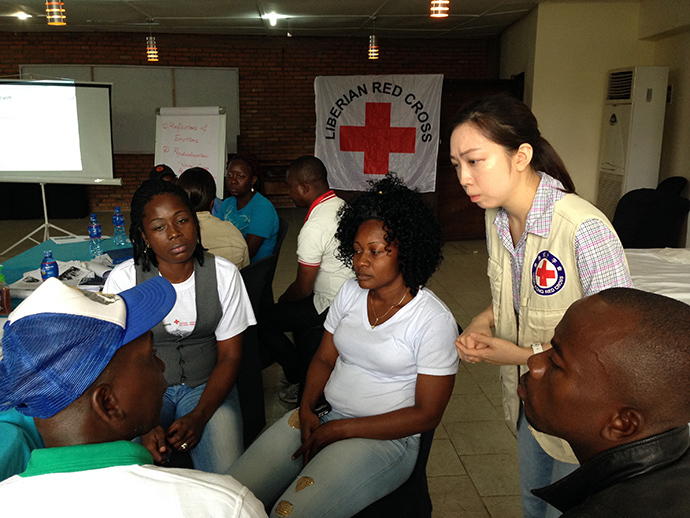 In a classroom, 19 people—counselors with the Liberian Red Cross, staff with NGOs and social workers with the Liberian Ministry of Health & Social Welfare—are learning from Crabu and Cheung how to organize culturally appropriate activities to help families cope with their loss. They are also taught ways to keep themselves safe from the virus and how to provide support to each other. This group will then go on to train others in affected communities with the hopes that such efforts will help the country come to grips with Ebola.